Looking for a breakfast with character? Think you can only find it at the Disney Parks or at a Walt Disney World Resort hotel restaurant? Our Traveling Moms have been to many character dining experiences inside the Disney parks. Unfortunately, these meals can be difficult to reserve ahead of time, expensive, crowded and often rushed. 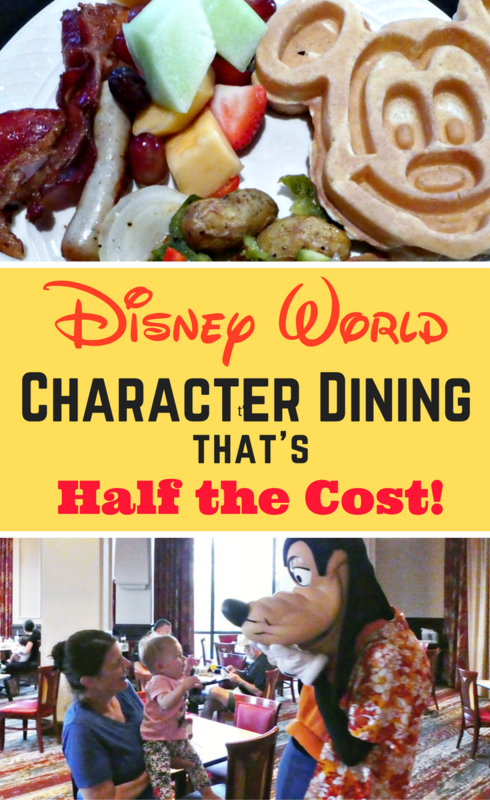 Check out this option for a character dining experience that’s not only on Walt Disney World property but also value priced and bountiful! And you’ll still be able to meet n’ greet Disney favorites. 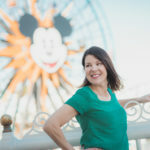 Character dining is a Disney vacation must-do! The ability to have popular Disney characters interact with the kids right at your table while you enjoy a meal is a trip highlight for me. Being in San Diego, we’ere just a short drive to Disneyland. We’ve previously made the day trip to the resort just to enjoy a character meal for a special occasion. On my recent travels to Walt Disney World in Florida, I discovered other options for character dining. This trick doesn’t even require a park ticket. And it doesn’t have to cost an arm and a leg just to get a Mickey waffle either! The Wyndham Lake Buena Vista is located on Walt Disney World property, in the Disney Springs area. Within a few minutes, walk from the hotel front entrance to the shopping and dining in the Marketplace area of Disney Springs. Here you’ll find great options such as Earl of Sandwich, World of Disney and Bibbidy Bobbidy Boutique. But you don’t have to leave the hotel for a character dining experience. Each Tuesday, Thursday and Saturday, the Wyndham Lake Buena Vista hosts a Disney character breakfast in their Lakeview Restaurant. 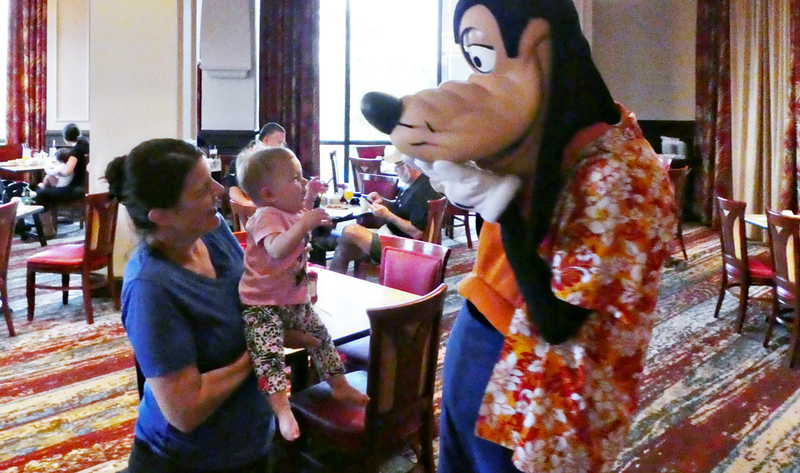 From 7:30 a.m. to 10:30 a.m. on these days, Goofy and Pluto greet guests at their tables, lingering for photos, autographs and lots of one-on-one time. 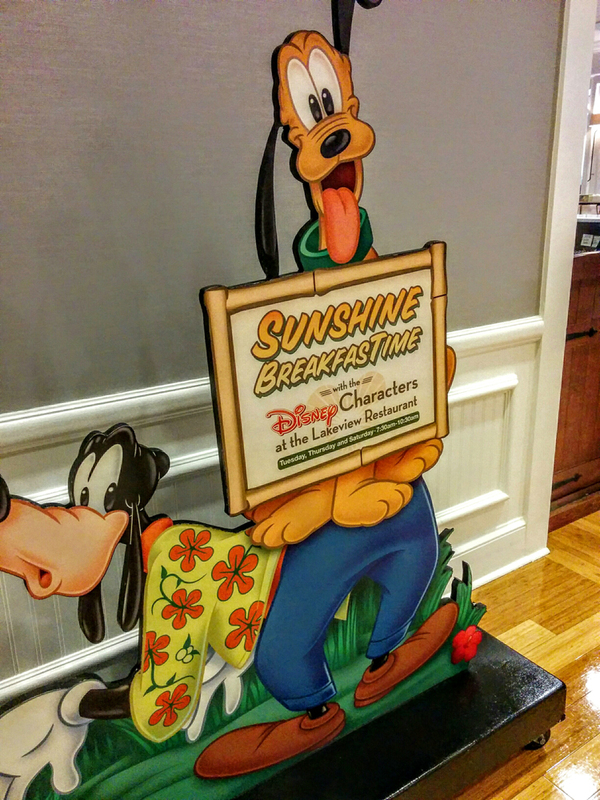 Sunshine Breakfast Time with the Disney characters takes place in the Lakeview Restaurant, located on the second floor of the hotel. The buffet area is expansive and easy to access. On my three visits, there was never a crowd or a very long wait for anything. The dining room is elegant, in a gold and burgundy color palette. There are sweeping views of the lake through the many windows. True, this is character dining without the usual over-the-top Disney theming. That could either be a plus or minus in your book. Kids will likely think the dining area is rather ordinary – if they even notice it at all with the character interaction to distract them! At $26.95 for adults and $12.95 for kids, this price includes a full hot breakfast buffet including made-to-order Mickey waffles and omelets. 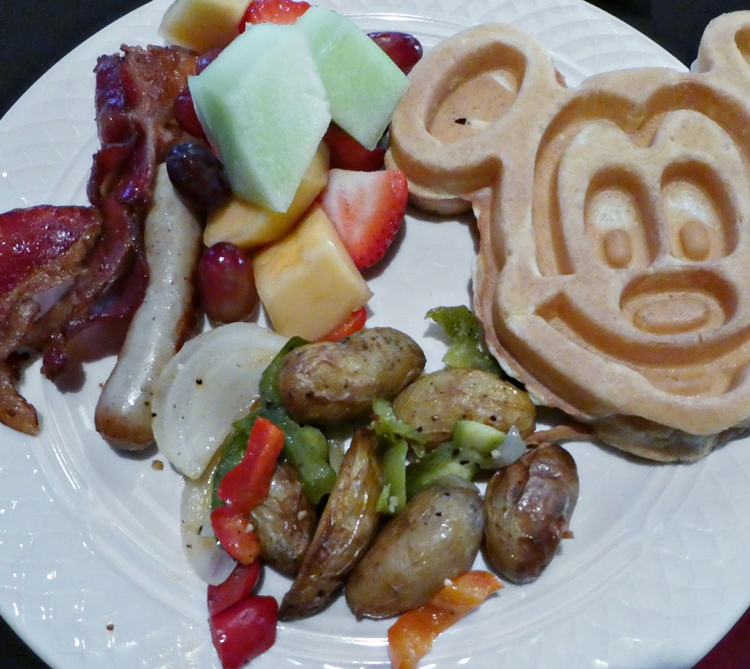 Compared to other Disney character dining experiences (that can be as high in cost as $58, per adult), Wyndham’s character breakfast price is easier to swallow. I don’t know about you, but I can’t justify spending $58 for waffles, even if they are Mickey-shaped. 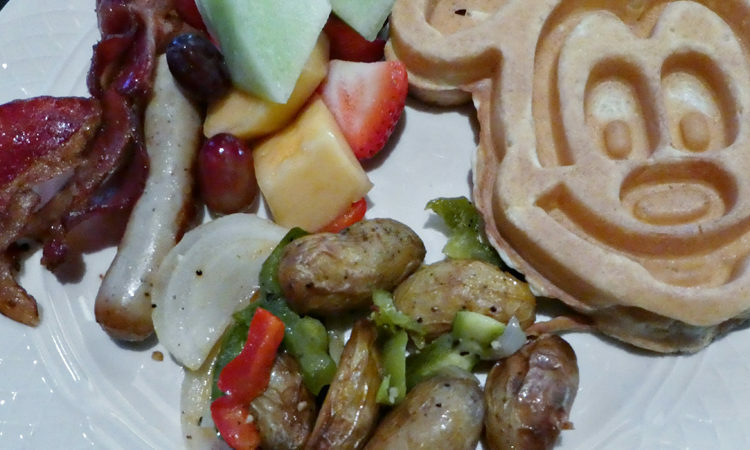 The Wyndham Lake Buena Vista has Mickey waffles at more than half the cost. Also, Disney resort restaurants charge children starting at 3 years old. But at the Wyndham, you won’t pay for your child to eat at this character breakfast until they are 4 years old! You heard me correctly, they have Mickey waffles! And were they delicious; thick but light and fluffy, just like a waffle should be. These waffles were also much bigger than the petite Mickey versions that are offered at the Walt Disney World resort breakfasts. Choose from plenty of options to top the waffles, from fresh and dried fruit to whipped cream and syrup. The waffles were freshly made as ordered because we all know that waffles definitely taste best right off the griddle. 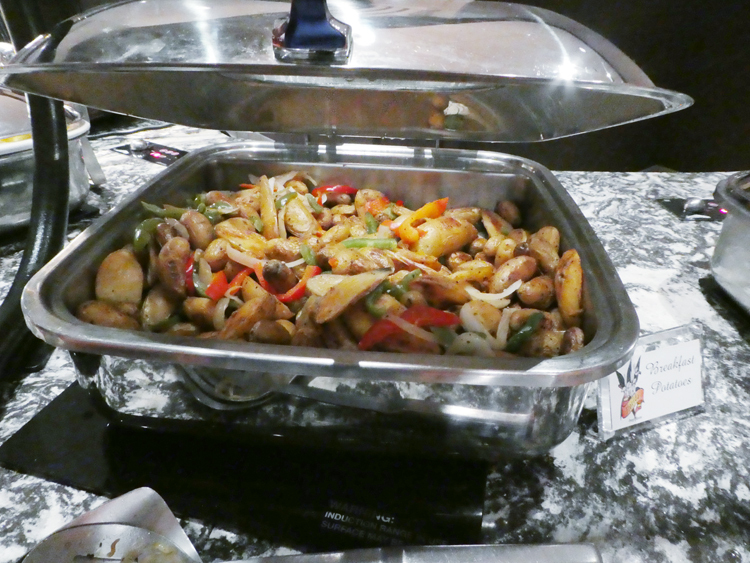 There were the buffet standards (bacon, sausage, scrambled eggs and cereal) as well as some creative offerings (potatoes with pepper and onions, chicken in a biscuit and freshly prepared drinkable yogurt). Stop by the chef table for fresh omelets with a choice of optional mix-ins. I was impressed with the wide variety as well as the attention of the staff, who kept the food hot and fresh. Got a sweet tooth? 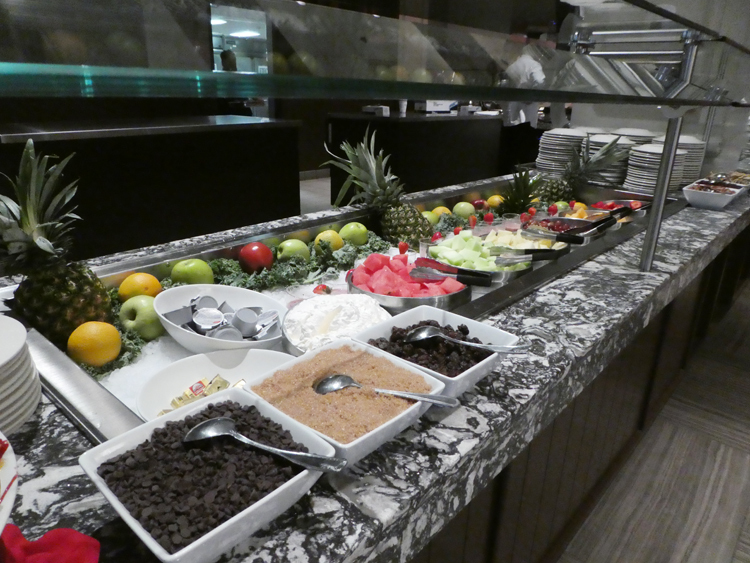 Check that off as the buffet also served Rice Krispy treats on the buffet one morning and brownies the next! Unlike character meals at the Disney resort you can simply just show up for breakfast as you wish at the Wyndham. Character dining at a Disney resort always requires a reservation be made up to 180 days in advance or else be turned away at the door. 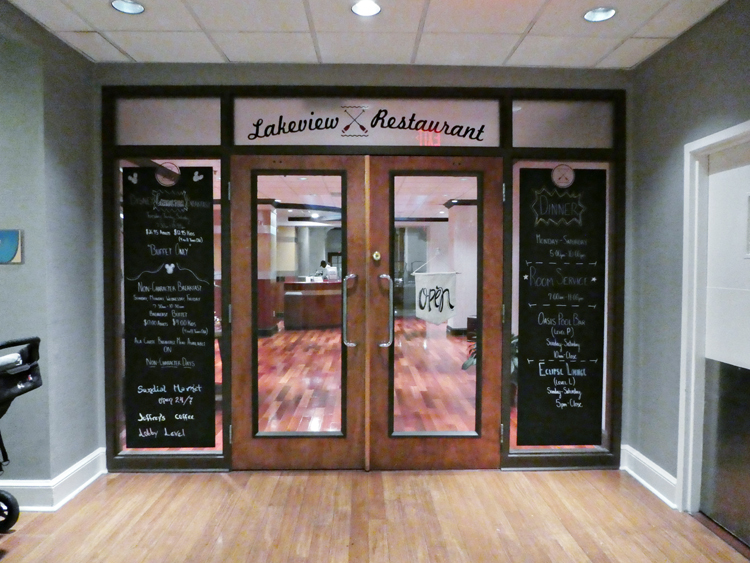 Even with a reservation, you may find yourself waiting for a table to open up. However, Disney resort character meals are available every day and not only at breakfast time (each dining experience location varies). The Wyndham only offers characters during breakfast and only on Tuesday, Thursday and Saturday, so you’ll need to plan your visit accordingly. Wear your birthday button (available free in the Disney Parks, just ask for one at guest services). Let your server know you are celebrating a birthday. We heard several groups celebrating and everyone in the room joined in on the song. If you have your heart set on mingling with Minnie or canoodling with Donald, you won’t likely be meeting them here. At the Wyndham Lake Buena Vista Disney character breakfast, Goofy and Pluto are the slated characters you’ll meet. Unlike Disney resort restaurant character meals, where there might be five characters at any given time in the dining room, the meet n’ greet at the Wyndham is decidedly low-key. 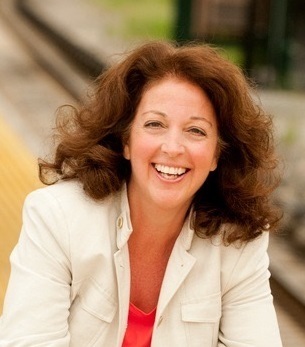 You’ll have plenty of time for meaningful interactions because the atmosphere is less rushed and less crowded. Goofy and Pluto devote a generous amount of time at each table. They are also able to pose for photos and sign autographs. The Wyndham’s Sunshine Breakfast Time is certainly more calm and un-rushed. At several Disney parks meals I’ve been given the check before I’ve even returned from the buffet! If you’re staying at a Walt Disney World resort property, simply take a complimentary transportation bus from your hotel to Disney Springs, then just walk over to the Wyndham. Or consider staying at directly at the Wyndham Lake Buena Vista (which offers transportation to the parks). I could have used these tips years ago – I spent a fortune on character breakfasts! That’s fine if you aren’t using the Disney Dining Plan (which I personally would never go to Disney World without). The $26 is a lot when you could dine at a Disney restaurant with your plan for only the tip. It’s also fine if you are staying long enough to be able to have non-park days. Otherwise the time it would take to get from your resort to Disney Springs to this hotel (if utilizing the Disney bus system) or even just to drive from your resort to this hotel and then to a park, would take up too much valuable park time. We’ve eaten at several of the Character Meals. We’ve never been rushed and have always gotten photos and autographs from every character (not just two) that have been at that particular place. Thank you for this tip! We are staying at the B Resort and Spa so, the Wyndham is a 5 min walk. I am definitely taking my son this Saturday! Thank you so much for the recommendation. We are not staying on the Resorts. Are we still allowed to have Sunshine Breakfast Time with the Disney characters in the Lakeview Restaurant just the same?? Absolutely! Just show up during the times designated in the post (it doesn’t happen every day, so be sure to read the post for the days of the week this breakfast is offered). No reservation needed! Which characters can we generally expect at this breakfast? Definitely looking forward to shuttling over for breakfast during our trip in August! You’ll for sure see Pluto and Goofy at this breakfast!